Will informed me that I need to explain this "dorse" a little. 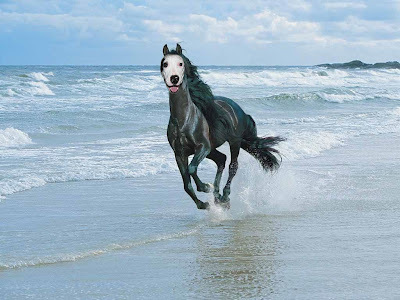 We didn't just find this lovely picture on the internet, this was my girls' first photo shop lesson. The face is our own dear, sweet Penelope Ann McDigger. Will and the girls photoshopped the picture. I love it, the expression on her face, like running in the ocean is the best thing ever... it makes me giggle every time I see it. All you want for Christmas is a dorse!! That is nice. LOL... more like DORK!